Philly SHRM is committed to assisting veterans to return to the civilian workforce and helping employers connect with returning veterans to support this transition. 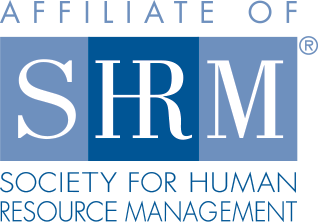 Philly SHRM’s efforts include mentoring veterans to facilitate meaningful connections between returning veterans and their counterparts in the civilian workforce and providing networking opportunities for veterans and employers alike. This connection fosters interaction in a forum that permits an exchange of information as they move toward the common goal of seeing our nation’s heroes successfully employed within the civilian workforce. Details on upcoming live events for Veterans. The USO of Pennsylvania and Southern New Jersey’s mission is to enhance the quality of life of the U.S. Armed Forces personnel and their families. In short, Liberty USO is the bridge between the civilian population and our Military. In times of war and peace, the USO has delivered its special brand of care, comfort and support to service members and their families. There are 5 USO Centers in the Pennsylvania and Southern NJ Area. 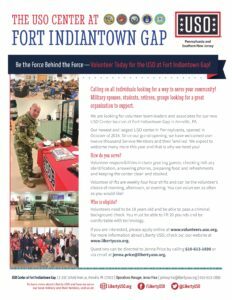 In October of last year, they opened a new facility on the base of Fort Indiantown Gap right outside of Harrisburg, PA where they are recruiting a full volunteer staff. There are also opportunities at the USO Centers at Philadelphia International Airport as well as the Joint Base Maguire-Dix-Lakehurst in NJ. This is a comprehensive list of local resources available to all employers. Did you know that the one million veterans looking for full-time jobs have completed advanced training worth hundreds of thousands of dollars in several of the 107 occupational specialties required by the military? To give your veteran hiring a boost, Center for America has published four free Employer Guides you can download. Each provides practical ideas, step-by-step guidance, all written in “business English”. These will save you time and money – and help you avoid mistakes. Employers have already downloaded more than 110,000 copies! Download one or all of them – all free! Complying with VEVRAA for Federal Contractors. Please visit hiringourheroes.org website for a current list of mentoring programs for employers. Greater Philadelphia Veterans Network (GPVN) is a non-profit organization whose primary mission is three-fold: to help veterans find work through career services programs/initiatives, mentorships and networking; to offer Veteran Entrepreneurship Programs; and to educate employers in the Greater Philadelphia area on the “business sense” of hiring veterans. GPVN also offers Veteran Business Networking Events, Veteran Professional Development Events and Vet-to-Vet volunteering opportunities. Federal Contractor Compliance regulations and employer sources. Employer-to- Employer resource on hiring individuals with disabilities, veterans included. Philadelphia Reach aims to gather as a group of employers, educational institutions, professional and military veteran support organizations in the region for the purpose of serving as a focal point for education, training, job search sponsorship and referral resources for employers and service members in an effort to increase employment for military veterans. Offering employers the opportunity to engage with the local Veteran community through employment preparation, training classes and workshops, the Veterans Multi-Service Center (VMC) is a non-profit organization serving those who have served since 1980. Council for Relationships is a community-based nonprofit counseling organization that provides a unique combination of comprehensive services, education and research to help people understand, respect, and improve the quality of the important relationships in their lives. Philadelphia is among one of the only cities in the United States to offer an employer a city level tax credit for hiring a hero. This is a comprehensive list of local resources available to all veterans seeking employment opportunities. A program of the U.S. Chamber of Commerce Foundation, serves as nationwide initiative to help veterans, transitioning service members, and military spouses find meaningful employment. Through working with state and local chambers and other strategic partners from the public, private, and non-profit sectors, tens of thousands of veterans and military spouses have found employment since the program’s 2011 start. NOTE: this site includes employment-related services for: veterans, veterans’ spouses, search tools to identify fastest growing job markets in America. MISSION: to honor the men and women who have served in the Armed Forces by providing educational support and career opportunities in the financial services industry. Ted Digges, CAPTAIN, SC, USN (Ret). Director of The American College Penn Mutual Center for Veterans Affairs. Scholarships are available (for veterans and spouses) for The American College’s designations and degree programs in financial and insurance areas. Available as distance learning to facilitate study and coursework from any location. This is a non-profit organization whose primary mission is three-fold: to help veterans find work through career services programs/initiatives, mentorships and networking; to offer Veteran Entrepreneurship Programs; and to educate employers in the Greater Philadelphia area on the “business sense” of hiring veterans. GPVN also offers Veteran Business Networking Events, Veteran Professional Development Events and Vet-to-Vet volunteering opportunities. Generate job leads by networking with business leaders in the Greater Philadelphia area who are looking to hire veterans. GettingHired, Inc. is an online service organization focused on creating employment opportunities for individuals and veterans with disabilities and helping employers find talent. The company is well known for its national employment and networking portal GettingHired.com. GettingHired.com connects talented job seekers who happen to have disabilities with employers, advocacy organizations, and service providers. Civilian Jobs for Disabled Veterans and Wounded Warriors – Our employers are looking to match your military skills and expertise to complement their teams and fill their open positions. We work with top companies that are looking to hire the most qualified individuals to strengthen and grow their businesses. GettingHired works with a number of Disabled Veteran groups, service providers and military-friendly employers that understand military culture and transitioning Veterans into civilian position. Reach Philadelphia Reach aims to gather as a group of employers, educational institutions, professional and military veteran support organizations in the region for the purpose of serving as a focal point for education, training, job search sponsorship and referral resources for employers and service members in an effort to increase employment for military veterans. Troops to Teachers (TTT) is managed by the Defense Activity for Non-Traditional Education Support (DANTES), Pensacola, Florida. The purpose of TTT is to assist eligible military personnel to transition to a new career as public school teachers in “high-need” schools. A network of state offices has been established to provide participants with counseling and assistance regarding certification requirements, routes to state certification, and employment leads. The TTT homepage provides information and resource links, including a job referral system to allow participants to search for job vacancies as well as links to state Departments of Education, state certification offices, model resumes, and other job listing sites in public education. Troops to Teachers is not a teacher certification program. Troops to Teachers Candidates must meet all state teacher certification requirements for the state where they desire to teach. Verizon is honored to support veterans and military spouses across the country with employment opportunities, career resources, state-of-the-art technology and benefits exclusive to military families. You can read about their military network, view current openings, and learn more about the programs on the website. The new Virtual Job Scout — available at www.virtualjobscout.org — is designed to bring the meet-and-greet experience of the live job fair event to veterans and spouses on their computers. During active online events, candidates and hiring managers will be able to chat in real time. After hours, the site will function as a veterans-specific jobs board, where the parties can trade résumés and open positions. Virtual Job Scout requires registration with Hiring Our Heroes but is free. The site is also open to military spouses and troops on active duty looking at an upcoming separation. Serving those who have served since 1980, the Veterans Multi-Service Center (VMC) is a non-profit organization offering training classes, certifications and resume writing and interview skills coursework to boost your competitive edge in the private sector. Resources available to veterans seeking educational opportunities. The Department of Defense recently reported that 43% of military spouses expressed an interest in attending school; however, many stated that the steep cost education was one of the main issues holding them back. Combine this with frequent relocation and single parenting while their spouses are abroad, and going to college quickly becomes a daunting task. To address the very real issue of affordability, our college planning team at BestColleges.com created a holistic financial aid guide specifically for military spouses and children. We provide context for how students can best take advantage of available federal resources while offering an extensive list of 30+ scholarships and grants. Here at BestSchools.com we recently published our 2016 Guide to Veteran Education Benefits. In the course of our research we found that most veterans were not aware of all the grants, scholarships and education resources that are available to them. So we decided to create a user-friendly guide that includes features like our GI Bill calculator, grants and scholarship directories, and interviews with the top universities that have programs designed specifically to support veteran higher education. We hope our guide will not only answer common questions, but make it easier for veterans to leverage the educational benefits they have earned. Tuck’s trauma and sleep guide here. This resource guide includes an in-depth look at how physical and mental trauma can affect the brain’s ability to rest. Because sleep is such a vital part of wellness, chronic sleep deprivation can make recovery difficult and increase the severity of physical and mental symptoms. Our guide also includes information about what to do if PTSD or a traumatic brain injury is causing insomnia or disturbed sleep. Mission: Liberty USO’s mission is to enhance the quality of life of the U.S. Armed Forces personnel and their families. In short, Liberty USO is the bridge between the civilian population and our soldiers. In times of war and peace, the Liberty USO has delivered its special brand of support, comfort, morale and recreational services to service members and their families. Liberty USO collaborates with organizations like US Chamber of Commerce’s Hiring our Heroes and Bunker Labs to offer programs for transitioning military members and their families. Mission: To unite military and veteran service organizations and advocates who share common goals to build programmatic capacity and increase services to clients under the umbrella of regional collaboration. Mission: To connect veterans to Philadelphia employers and empower local companies to strengthen their veteran networks. Mission: Greater Philadelphia Veterans Network (GPVN) is a non-profit organization whose primary mission is to provide pre-employment education and career services to transitioning military service members and local veterans; to ensure veterans have programs and initiatives available to help accelerate their job search; and to generate job leads by networking with business leaders in the Greater Philadelphia area who are looking to hire vets. GPVN also offers Veteran Entrepreneurship Events, Hiring Veterans Workshops for local companies and Vet to Vet Volunteering. 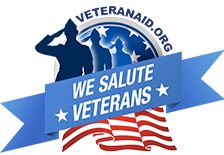 Mission: The VMC exists solely to “serve those who served” this great nation, our Veterans. We are the only non-profit agency in the Philadelphia and surrounding areas that provides a comprehensive resource center available to all veterans in need. Mission: ESGR is the lead Defense Department program promoting cooperation and understanding between civilian employers and their National Guard and Reserve employees. ESGR develops and promotes supportive work environments for service members in the Reserve Components through outreach, recognition, and educational opportunities that increase awareness of applicable laws and resolves employer conflicts between the service members and their employers.